It is wise to start thinking about financial planning before you graduate so that you’re prepared for money management when you start earning. Although there may be other things on your mind such as exams, dissertations and deadlines, being able to manage your funds effectively can help achieve many financial goals and you should start thinking about how you can practise this. Stocks and shares ISAs provider, True Potential Investor, shares their top tips for managing your financial goals. What Do You Need to Save for? The first step in managing your money is setting yourself a goal by deciding what you want to achieve. This may be a holiday, a car, or taking your first step on the property ladder. Planning for your retirement early is also a top tip. Whilst retirement may seem like a life away, planning early is crucial to ensuring your comfort later in life. Every goal that you set yourself should be achievable – you do not want to leave yourself financially uncomfortable. You may want to categorise your goals based on timescales. For example, a short-term goal might be buying a car, while a long-term goal could be your private pension. Ensuring that your goals are measurable is important and makes them more likely to be achieved. This can be done by deciding roughly how much you need and when you need it by. Again, this must be realistic. Deciding that you need a large amount of money in a short space of time could cause unwanted strain on your current finances. An assessment of your current financial situation is key in money management. Your situation will determine how much you can comfortably set aside. You can do this by creating a list of your current monthly income and work out your monthly expenses. Make sure that you include one-off costs in this too such as insurance payments or maintenance costs to paint true picture of your finances. Once you have looked at your finances, you can look at areas for cutting back on a day-to-day basis. Could you replace your daily coffee shop coffee with a homemade one instead? Could you take your lunch into work instead of going to the sandwich shop? Work out how much you can afford to put away each month, without stretching your finances too far. 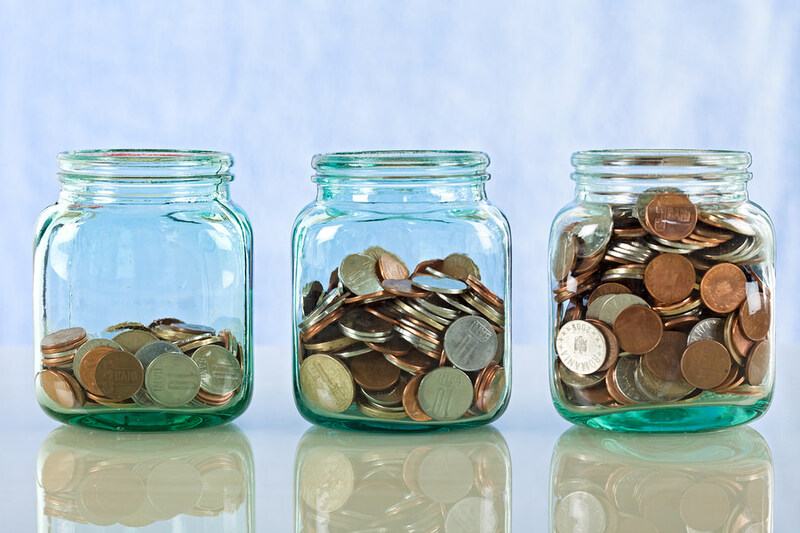 Once you begin setting money aside, you’ll need to decide whether to save or invest your cash. If you choose to save your money, you’ll generate a lump-sum and will usually receive an additional percentage in interest. Because saving is essentially stockpiling money, there is little risk and so it may take longer to reach your goals than may be possible with investments. If you do choose saving as an option,Cash Individual Savings Accounts (ISAs) are a popular choice, as they offer a tax-free way to save. This means you won’t pay any tax on the interest your account generates. Alternatively, investing involves committing your money to an asset with the aim of increasing your overall amount.As investments can fluctuate, choosing a level of risk you’re comfortable with is important. If you’re interested in investments, you could look into Stocks and Shares ISAs. They allow you to invest up to £20,000 a year into funds which could see your money grow and help you reach your goal faster. Always consider the risk that you could get back less than you invest. Always make an individual assessment before investing. Base this on what you want to achieve, the timeframe you want to achieve it buy, the level of return that you can receive and any associated risks.